Just like humans need their skeleton system to support their bodies, so do buildings. 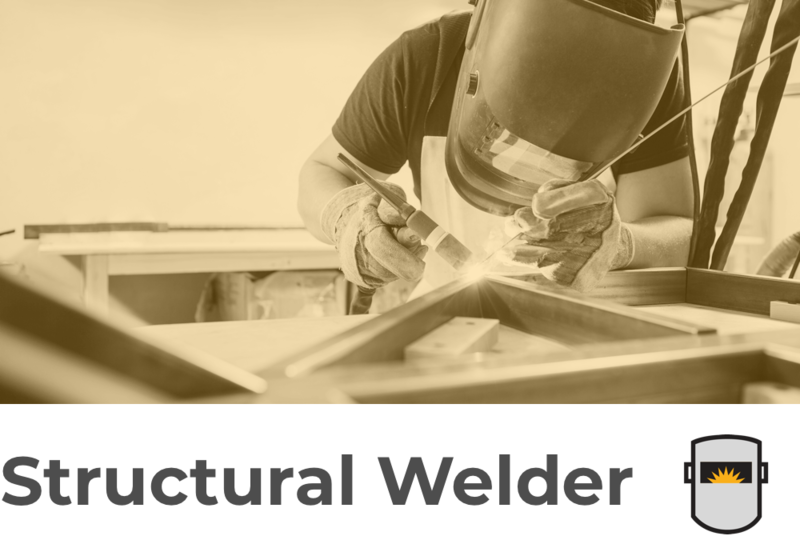 Many large (and not so large) structures are supported by a skeletal metal frame put together by structural welders. Their expertise allows those supports to keep the building and anything inside of it from collapsing. From factories to power plants to commercial buildings, they’ve all had a structural welder’s touch. Learn how to get started in a structural welding career by reading on. The full spectrum of your duties may differ depending on where you work. Choose between trade school, community college, the military, or an apprenticeship. Even when you choose to go the more traditional educational path, you’ll still end up receiving hands-on training from your employer. Get your certification through the American Welding Society. In most instances, you’ll get an entry-level job where you’ll be trained to suit the needs of the type of industry you’re working in. There are also programs available, once you’ve completed your welding education, that are specific to structural welding. Go through an apprenticeship which takes 3-4 years. There will be 144 hours of instruction plus 2,000 hours of paid on-the-job training for each year of your apprenticeship. Unions and contractor associations sponsor these apprenticeships. Structural welder salaries range depending on what state you’re in, the amount of experience you have, and the industry you’re working in. Indeed.com places the average salary at just over $20/hr. But, if you go into all the job listings, hourly wages can go much higher than the average, with the higher earnings being reported going well over the $40/hour mark. The Bureau of Labor Statistics reports the median annual salary for structural iron and steel workers is $53K a year, with the top ten percent making more than $92K. Which is proof that you don’t need a bachelor’s degree to earn a great living. For ironworkers, a faster than average employment growth is expected through 2026. There will be 11,400 new jobs opening during that time. If you are a certified welder, and are physically capable of doing the work, then you’ll find many job opportunities for yourself.